Royal Worcester figurine “Monday’s Child” is stamped “Monday’s child is fair of face”. 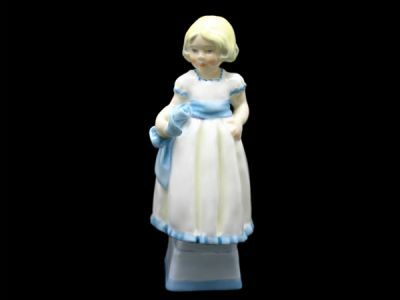 This lovely figure made in 1952 depicts a sweet little girl in a blue and white dress. Model #3257 measures approximately 2.5” x 6.5”.